The deer earned his name from that June picture. At first glance, I thought the photo only captured the image of one buck – and a good one at that. But as Kurt and I manipulated the image and over exposed the photo, a second brute appeared. He would adopt the name ‘The Ghost Buck’ from that point on. 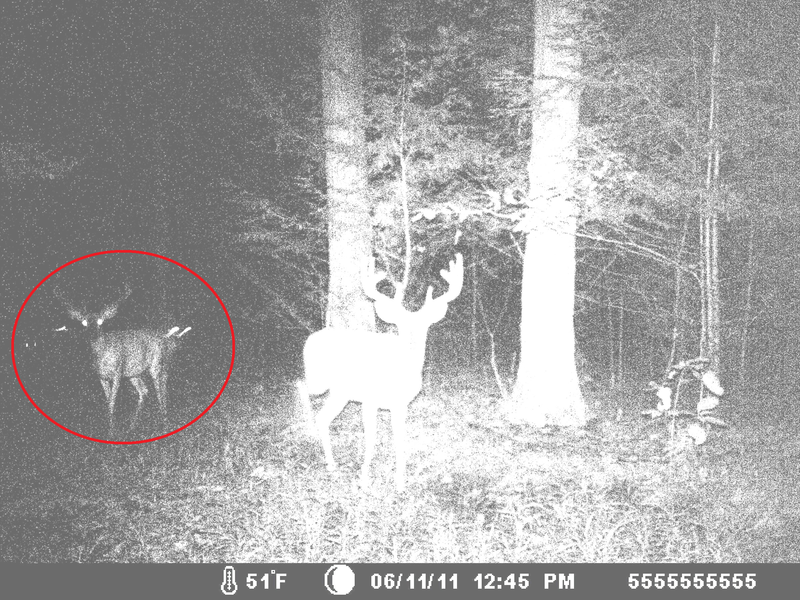 The only image of 'The Ghost Buck' I ever captured. Ironically, the name seemed to fit the deer as he vanished from the trail cameras. I never captured another image of the deer and we had no sightings of him throughout the entire archery season, until the morning of November 18, 2011. The morning was cold and chilly, and with a fresh blanket of 3 to 4 inches of snow on the ground, I had high hopes of seeing movement. I reached my stand around 6:00 a.m. and didn’t see a deer until around 7:45 when a small buck appeared off to my southwest. As I watched the buck move through the woods, I turned my head to see something I’d waited all season for – one of my Hit List deer on the move during daylight hours. The first thing I noticed was how he walked with a considerable limp. I was unsure as to what deer this was, but I knew he was a shooter and on the final day of the season, that’s all I needed to know. The details would get worked out later. The buck was traveling in a northerly direction moving from my right to left directly behind the stand. To complicate things some, the overnight snow was weighing down the hemlock limbs in the area – much like heavy Christmas ornaments hang from the family tree. I struggled to see the buck as he continued his hobbled walk. I hoped he would turn and head my way, but it became very clear that wasn’t going to happen – at least without some prodding. It was at this point I decided to grunt at him. I gave him a few tending grunts and that was all it took. He stopped, flicked his tail and made a 90 degree turn towards my stand. I whirled around, grabbed my bow and attached my release. As I saw the buck moving through the trees I came to a full draw. He paused for a moment and then walked broadside at 25 yards. I blatted at him, but as he stopped he angled towards me. I had one shot and that was to try and squeeze a G5 Montec into the left side of his chest. I steadied my HHS single pin sight and sent a Beman flying. I immediately knew I hit the buck – archers know the distinct sound a penetrating arrow makes. I made a few phone calls and assessed the situation. Upon climbing down from my stand I found good blood. I was encouraged. I gave the deer 45 minutes and began to slowly track him through the snow. I went about 60 yards and looked up. To my amazement the deer laid 15 yards in front of me. He had his head up, but his breathing was obviously labored. I knocked another arrow and came to full draw. I let a second arrow fly – this one catching the front part of his lungs. The buck jumped up and ran up a small nearby hill. I called my Dad and told him I was not sure we’d recover the deer. I walked out and met my Dad where we gave the deer another 30 minutes to expire. We followed the blood trail another 60 yards where the buck laid dead in a ditch. To say I was juiced is an understatement. I had sealed the deal on the final day of the regular archery season. I couldn’t believe it. The buck has an impressive 22 and 1/4" outside spread. The 5 X 4 has a 22 and ¼ outside spread. I don’t know what he scores, nor do I really care. It’s been a long journey through these past three seasons. I’ve had some great encounters with some great deer, but for one reason or another I wasn’t able to close the deal. I feel vindicated and relieved. I’d like to just give a quick shout out to my wife who deals with my annual absence every fall. Hunting is a time consuming game and she picks up my slack when I’m in the woods and out of the house. I appreciate her understanding of my addiction to whitetail deer. Until next time, safe hunting. Greg Johnston is a contributor to AHT. He is most notably known here for his weekly report on rut activity. The WNY native balances time between the woods and home where he and his wife are busy raising their two young children. On its surface, 2010 should easily go down as one of my best hunting seasons in a sliver under two decades of heading to the woods. And it was memorable – no question. I was able to kill over 300” of antler, including my all-time largest buck, hunting two of my favorite states in the Midwest. I shared camp with some of my dearest friends, and made some new ones along the way. By all accounts, it was an amazing year. But something was missing. Or perhaps it was more than one thing, but there definitely exists a void in my hunting soul when reflecting on 2010. Looking through my hunting journal, one glaring absence is the actual number of days afield – down roughly 50% from the average number of times I made it to the woods or on the waters over the last two decades. There are many constraints to credit that to, and many of those (time with my family) pale in comparison on my list of priorities. 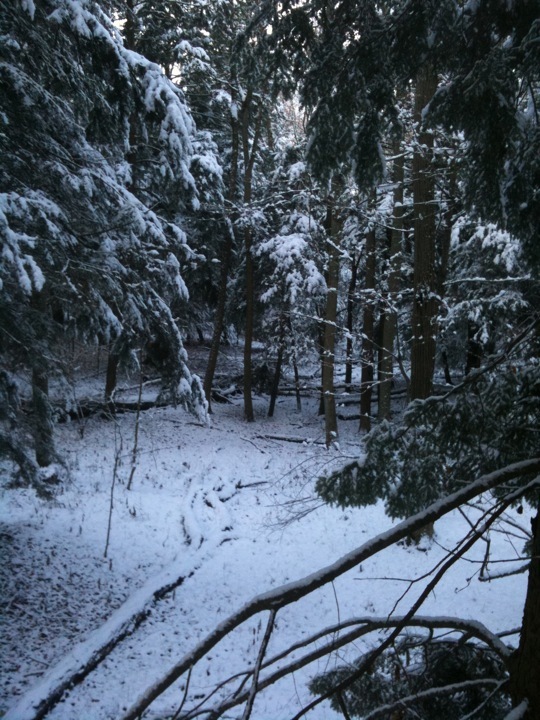 However, I’m looking already at finding more opportunities to get outdoors in 2011. 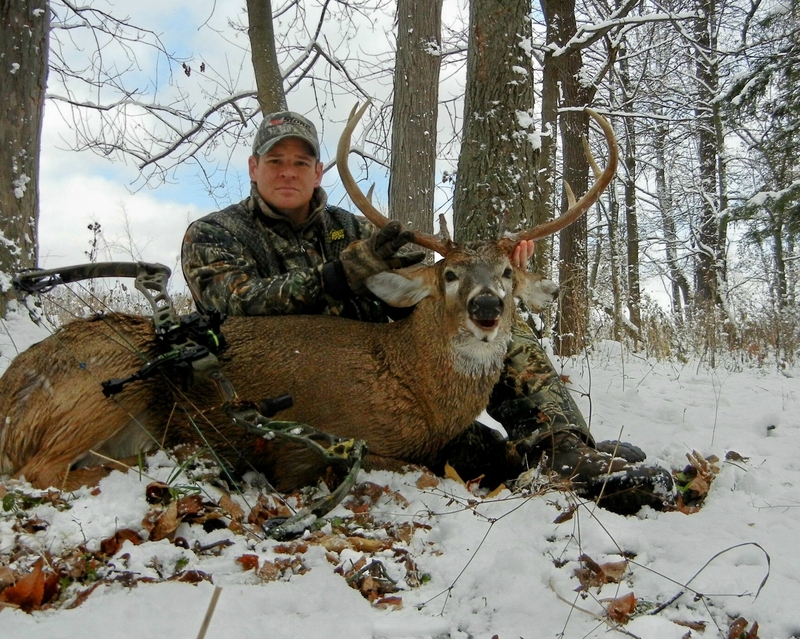 Without question, one of the biggest holes for my 2010 season – and it’s a gaping one – was not getting the chance to get “home” to hunt my native woods in Western New York. This season was the first time since I was old enough to hunt that I didn’t step foot in my family’s woods. I vow to do all in my power to not let that happen again. As Sage knows better than anyone, my duck hunting in 2010 has been almost nil. That’s another reason my hunting spirit is dampened. Outside of a little hunting during North Carolina’s early split, I’ve not been able to hit the water. While I plan to get on the water a little bit before the season closes later this month, this season will easily conclude with the fewest number of ducks in the freezer of recent memory. Driven primarily by the limited time found to hunt, I’ve missed out on being able to share the woods and waters with some of my closest hunting friends. In a sport where success if more often a bonus than it is the norm, spending time with your friends rises as one of the best parts. Not being able to do that as much this year is a bit disheartening. It’s interesting to me how things are prioritized differently as you grow older. A growing family has certainly impacted the important things in my life. That said, hunting remains among the most important pieces. There are some folks who will read that and wonder how someone could put family and hunting in the same group of important things. They will think I’m off my rocker. Simply put, they both compete for our time. Will hunting ever surpass the joy of being with my family? Absolutely not. But because they’re both important to me, other decisions may be impacted to make sure they get enough of my time. I’ve seriously considered cutting back my hobbies. And I don’t feel like I have too many. The one that often sits in the crosshairs for getting cut is golf. And every time I consider stopping altogether, I play a round just well enough to keep me interested. Additionally, it’s hard to quit golf when there are business events tied to the sport each year. Anyone else ever in that predicament? I don’t want to sound as if I’m complaining. The peaks that were a part of my season are some of the highest a hunter can enjoy. I’m both humbled and grateful for those. However, some of the valleys that joined the peaks in making this year unique have got me doing some evaluating. 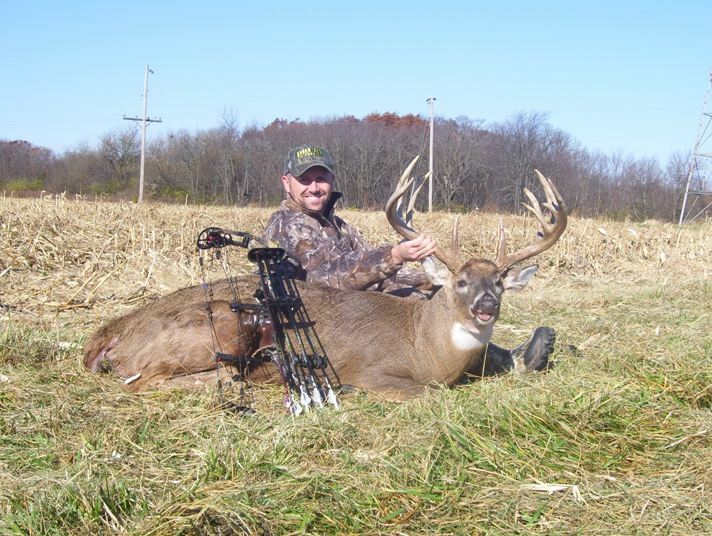 World Class Bucks … In NY??? If you’ve read many of my posts, you know that I’m proud of my Western NY roots. It was there that my passion for the outdoors was developed and where the majority of my time in the woods is spent – even now when I live some 500 miles away. That said, there remains a different level of anticipation when you’re sitting 18-feet high in a tree in NY as opposed to another tree in Iowa or Kansas. It’s best explained as a mananged anticipation. That’s because the number of bruiser bucks there is much smaller than the classic whitetail belt of the Midwest. And you rarely hear about many bucks killed to reverse that feeling. 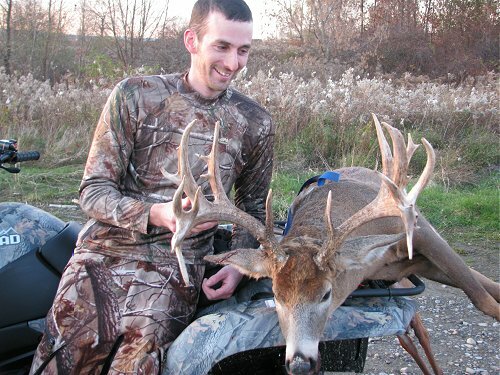 My buddy Greg passed along a couple of noteworthy posts from EmpireHunting.com this morning that will go a long way in helping that level of expectation rise when I return to the stand in New York next Fall. The first was of the Mctarnaghan buck, which was killed in Livingston County on Nov. 6 (coincidentally, that means that I was sitting in a tree just roughly 45 minutes away when he arrowed this deer). 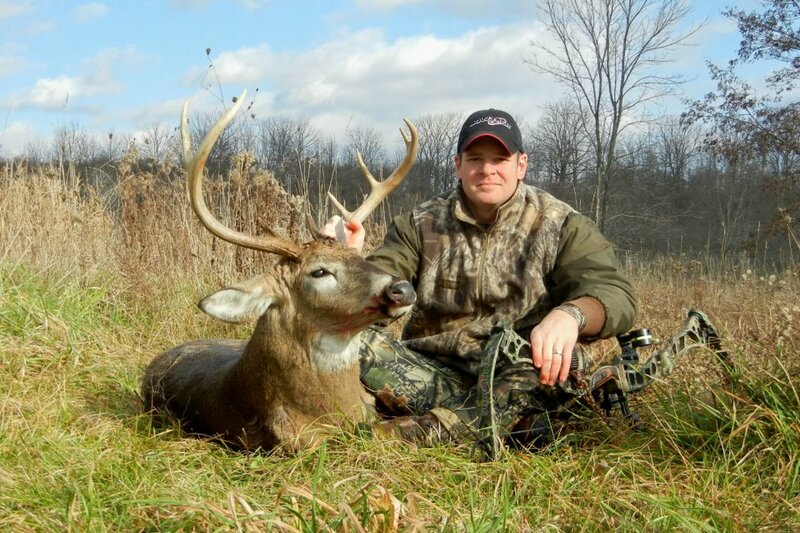 The buck green scored a 186 4/8″ net and sports antlers not seen very often in NY! Congrats to you, Matt Mctarnaghan. My pal Greg owns land just a stone’s throw away from where this deer was taken and I can’t imagine how excited he is to see a deer this large taken in his area. 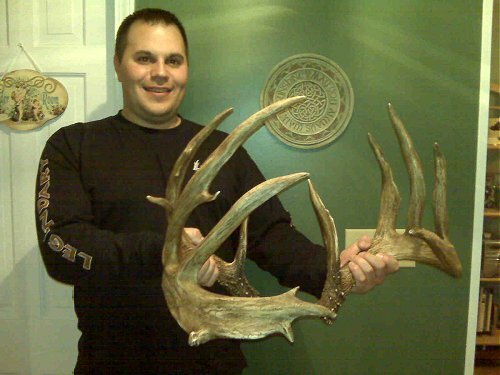 Not too far from where Mctarnaghan took this deer, and on the opposite side of my family’s land, a diehard hunter found matching sheds for a true monarch typical buck that will clear the 200″ barrier! Imagine that, the deer is still walking. Congrats go to Corey Wiktor on what is an amazing find. If harvested in 2009, the deer would have likely surpassed the Roosevelt Luckey record buck killed in 1939 (the first deer hunting season in NY) in my home county of Allegany.